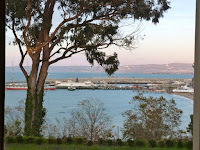 This year's Fall (6th annual San Francisco) Chocolate Salon was held at a new venue—the General's Residence, in Fort Mason, San Francisco, CA. 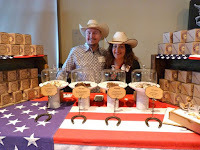 Amano Artisan Chocolate (Orem, UT) was displaying new packaging (and larger bars). 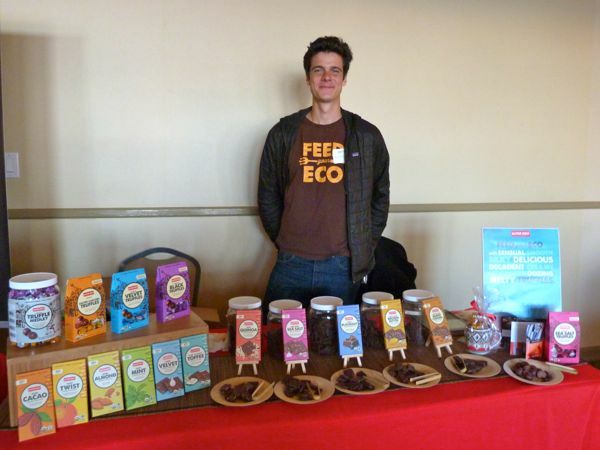 I enjoyed discussing single origin bars and new bars with flavor inclusions with founder Art Pollard's two sons. 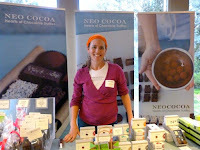 There were plenty of great Bay Area chocolatiers there. I picked up some velvety Pumpkin Spice Truffles and very tasty Nib Brittle from Neo Cocoa (San Francisco, CA); truffles from CocoTutti; tiny individually wrapped caramels from Kindred Cooks (Campbell, CA); creamy, flavorful chocolates from Alexander's Patisserie (Mountain View, CA); and artful pieces with layered flavors from flying noir (Oakland, CA). While in search of some smoky and umami flavors, I picked up a bottle of great, complex Bourbon (made from corn and rye) from Raff Distillerie (Treasure Island, San Francisco). What a great aroma; and I'm looking forward to sampling it with chocolates. I also enjoyed the spirits (a crisp Gin with citrus notes; a well-rounded Rhum Agricole; and an Absinthe with French roots) from Sonoma County Distilling Co. (Rohnert Park, CA). 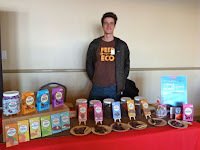 I enjoyed saying hello to Alter Eco (San Francisco, CA) and The Tea Room Chocolate and Tea Co. (San Leandro, CA). And, after nine years of eating different chocolates, I still love meeting new creative people who are making chocolates. New chocolate conversations this year were had with Firefly Chocolate (Windsor, CA); Endorfin Foods (Oakland, CA); Starchild Chocolate (Willets, CA); Fera'wyn's Artisan Chocolates; and Cowboy Toffee Co. (Oakdale, CA).